The authors of Echo Ridge have a special gift for readers available for a limited time. Subscribe to our Readers Club and receive a free ebook and exclusive content now! 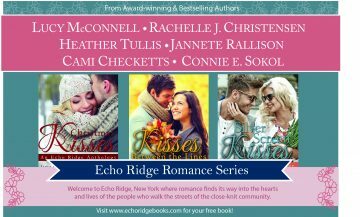 You’ll be the first to hear about upcoming books, specials, and delightful insider tidbits as we share the heart of Echo Ridge with you! Get special, behind-the-scenes details about how we write these heartwarming stories, our passion for clean, contemporary romance, and what we’re working on next.